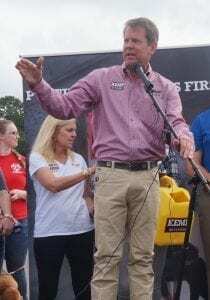 JASPER, Ga. – As part of his 27-day bus tour, Georgia Governor candidate Brian Kemp stopped at the Appalachian Gun, Pawn, and Range to visit locals and connect with Georgians during his campaign. 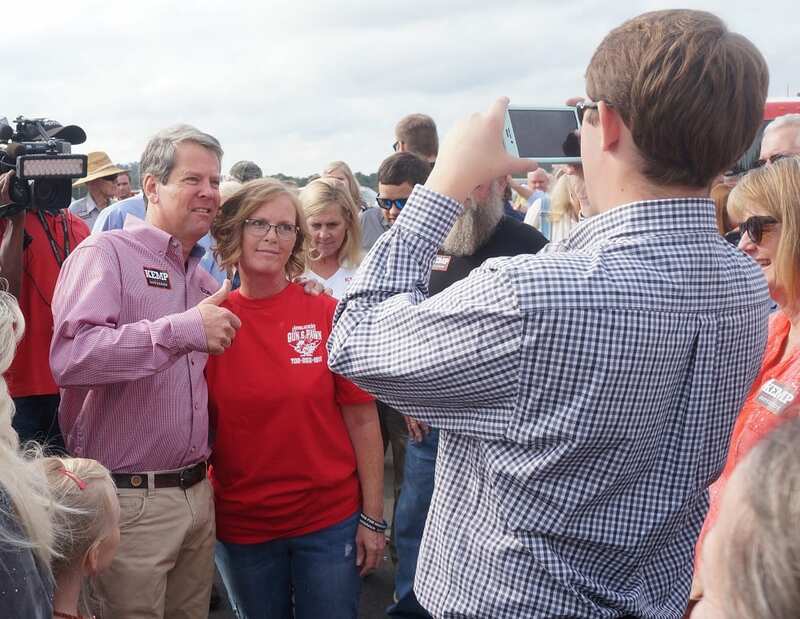 Moving through the large crowd, Brian Kemp took time to stop for photos with supporters at his Monday rally in Pickens. 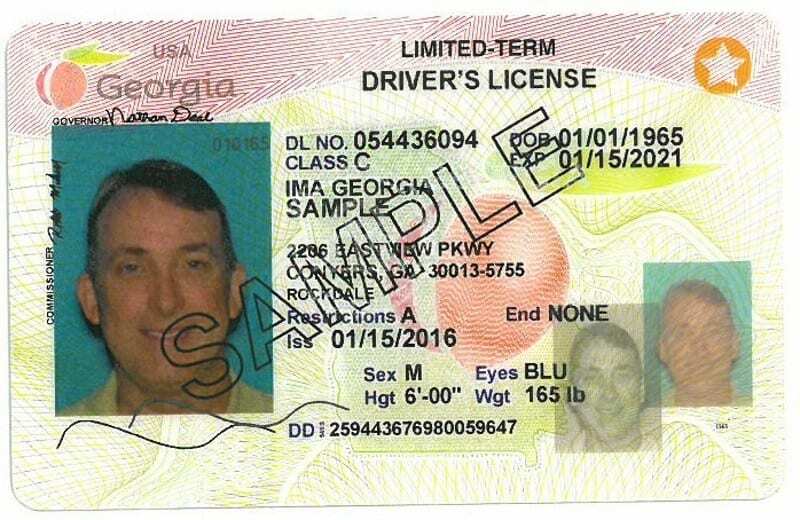 Stopping into his Pickens location a little after 10 a.m., Kemp was joined by U.S. 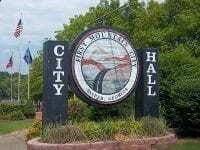 Congressman Doug Collins, State Senator Steve Gooch, and State Representative Rick Jasperse, who all spoke on his behalf at the stump speech. Additionally, State Senator Chuck Payne was also present. Some citizens could be seen in special shirts made at Appalachian Gun, Pawn, and Range in honor of Brian Kemp’s visit. 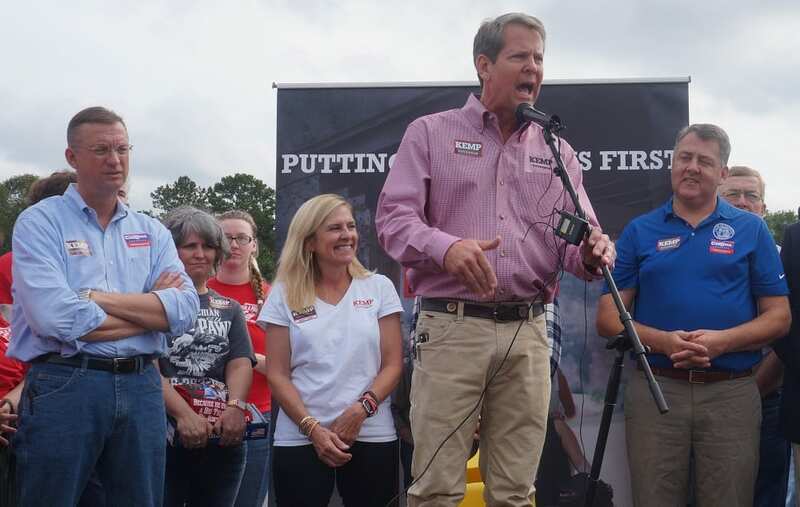 Kemp speaks in Pickens County as part of a 27-day tour across Georgia raising support for his campaign. 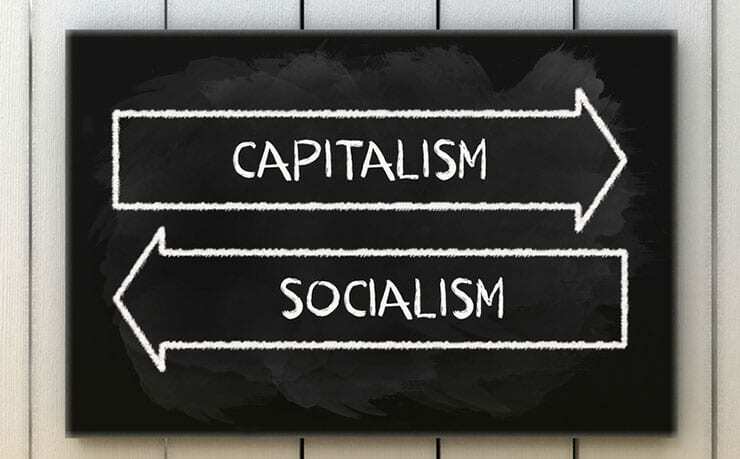 Saying it is not Georgia’s values that she holds, he said he wants to continue the work that the senators and representatives that were at the rally with him have started. 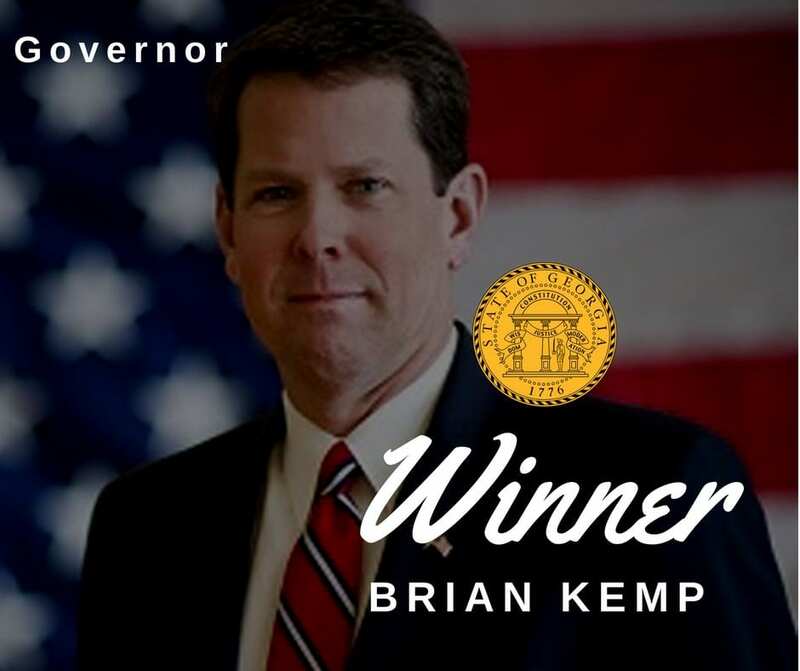 Kemp instead advocated for local control, school choice, and better education funding as he noted that for the first time ever, the QBE program has been funded. 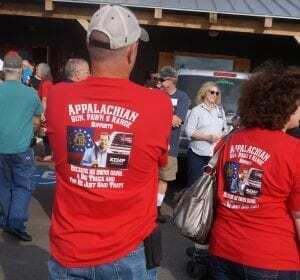 Dianne Traynham, left, and Brandi Dean, right, await Kemp’s arrival at the Appalachian Gun, Pawn, and Range in Pickens County. The event turned out over 400 people to hear Kemp speak and support the campaign. One citizen, Dianne Traynham, said she was there because she was interested in what Kemp has said and his support for rural Georgia. 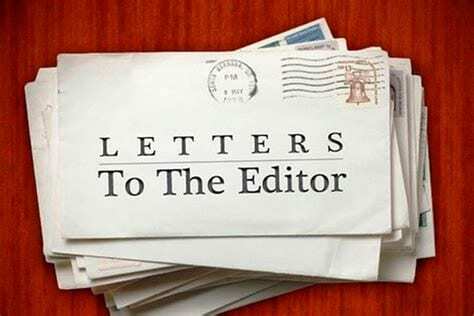 She added that her daughter is a teacher and Kemp’s pledge to take care of the state’s teachers was a major reason for her support. Kemp receives a Smith & Wesson Governor from the owners of Appalachian Gun, Pawn, and Range. Another citizen, Brandi Dean, said she “absolutely, 100%” voted for Kemp in the primary, and wants to do it again. 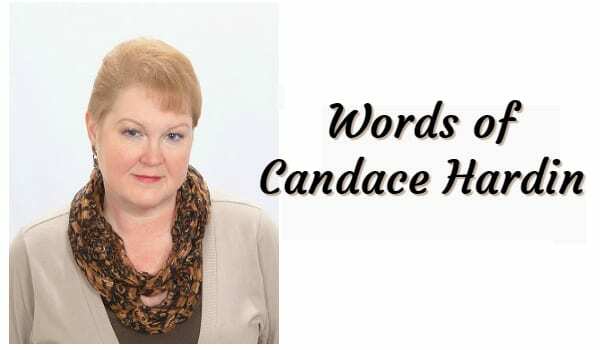 She added that Kemp is not afraid to share his Christian values and morals and is not afraid to put them out there. Sharing those same values, she was excited to see him in Pickens County. 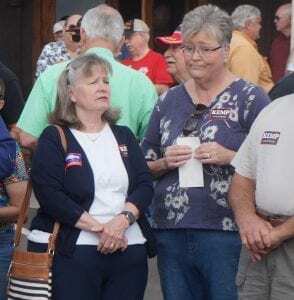 Both women said that visiting Pickens county specifically was meaningful and showed that he recognized how important the rural counties are in the election. Wrapping up the speeches, a special presentation was held as Ralph and Kim Fitts, owners of Appalachian Gun, Pawn, and Range, presented Kemp with a Smith & Wesson Governor, a snub-nosed revolver. 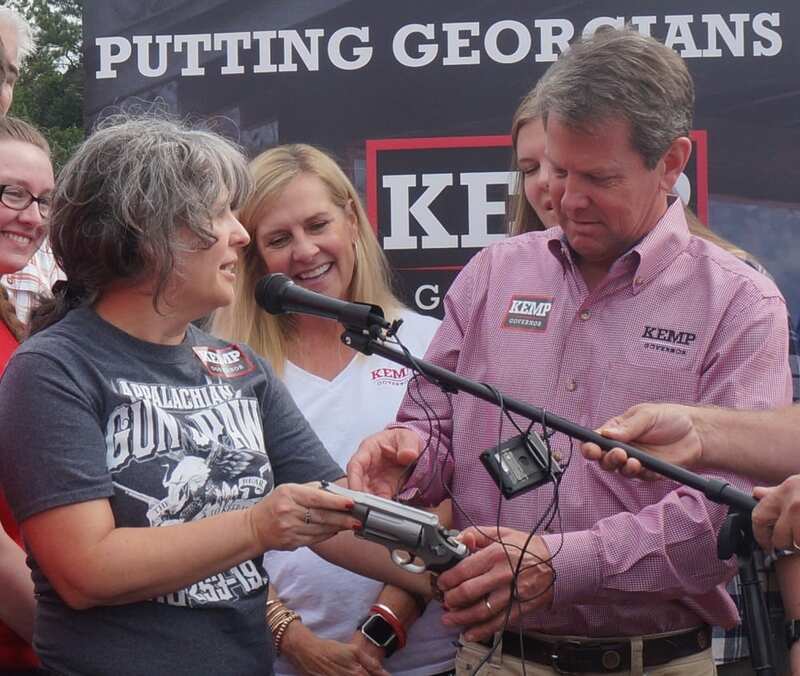 In celebration of Kemp’s visit, Kim Fitts said they would be sending the gun into Smith & Wesson to have “Governor Brian Kemp” engraved on the barrel of the gun. For more photos from the event, visit the FetchYourNews Facebook Page.